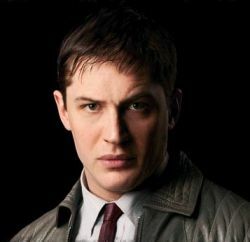 Adapted from the Martina Cole bestseller, The Take opens with Freddie Jackson’s (Tom Hardy) release from prison. He’s done his time, made the right connections and now he’s ready to use them. His wife Jackie (Kierston Wareing) dreams of having her husband home but she’s forgotten the rows and the girls that Freddie can’t leave alone. Meanwhile, his younger cousin, Jimmy (Shaun Evans), dreams of making a name for himself – on Freddie’s coat-tails. At first Freddie gets everything he ever wanted and Jimmy is taken along for the ride: a growing crime empire that gives them all the respect and money they’ve hungered for. But behind it all sits Ozzy (Brian Cox) – the legendary criminal godfather who manipulates Freddie and Jimmy’s fates from behind the bars of his prison cell. Bitter, resentful and increasingly unstable, Jackie sees her life crumble while her little sister Maggie’s (Charlotte Riley) star rises as she marries Jimmy. The arrival of little Jimmy is a cause for consternation for Charlotte as she seeks to conceal his true parentage. Freddie Jackson: TOM HARDY; Jackie Jackson: KIERSTON WAREING; Jimmy Jackson: SHAUN EVANS; Maggie Summers: CHARLOTTE RILEY; Ozzy: BRIAN COX; Patricia: SARA STEWART; Kitty Mason: HAYLEY ANGEL WARDLE; Lena Summers: MARGOT LEICESTER; Siddy Clancy: DAVID SCHOFIELD; Freddie Snr. :NICHOLAS DAY; Joseph Summers: JOHN ASHTON.